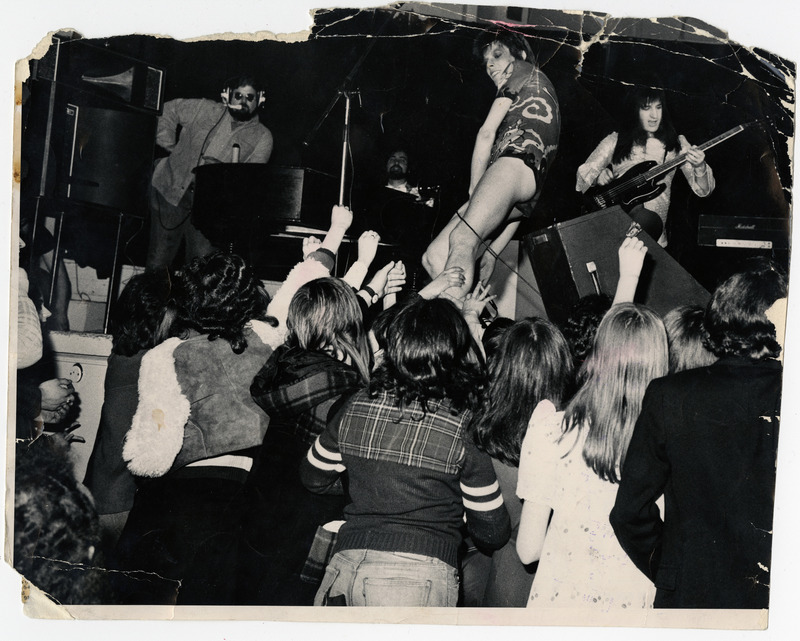 Flashback: Were you there when Bowie landed in Scotland? WHEN David Bowie cancelled his T in the Park headline slot in 2004 due to ill health, no one expected it to be the end of his touring days. Renowned for his shows, the legend would never play a full concert again. While Scottish fans missed out that day at T in the Park, there were plenty of other Bowie gigs north of the border over the decades. Author Neil Cossar is writing a new book, David Bowie: I Was There, and is appealing to The Sunday Post readers for their memories of seeing David in concert. It might be from 1964 when he played third on the bill at the ABC cinema in Edinburgh as Davie Jones and The Manish Boys, alongside Gerry and The Pacemakers, The Kinks, Gene Pitney, Marianne Faithfull, Bobby Shafto and The Mike Cotton Sound. Or perhaps it was when David Bowie and The Buzz performed at the Top Ten Club in Dundee in 1966 or during his two-week Scottish tour three years later in places like Kirkcaldy, Dunfermline and Kilmarnock. 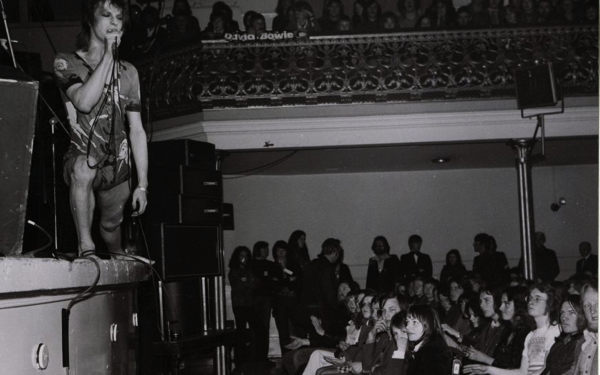 Or were you waiting outside the City Halls in Glasgow in 1972 when Bowie came out to tell fans the Ziggy show had been cancelled because the venue wouldn’t let the band use their full PA rig? I was 15 when I first saw Bowie. I remember lots about the day, including the funeral of our parish priest Father Murphy and my O Grade metalwork exam in the afternoon. I also recall what I wore on the evening – a striped tank top with a red shirt underneath with round collar tips, grey Prince of Wales baggy trousers and red socks under platform shoes. The gig blew me away – Beethoven introduction straight into Hang On To Yourself. When the gig started we were in the balcony at the back of the hall but we soon made our way down to the front of the stalls to see the action up close. I saw him seven times, including the legendary Barrowland gig in 1997. I remember the first time I saw Bowie like it was yesterday. It was the first time I’d been outside Glasgow for a gig and six of us crammed into my mate’s dad’s Cortina. We left Paisley at 8am and must have been standing outside the stadium for hours. I remember feeling totally gutted when we realised our seats were as far from the stage as you could get. While we were standing at the fence someone with a pitch ticket passed it through to me. Soon I was on the pitch and so were my five friends as the ticket went back and forth! From being miles from the stage to the first ten rows couldn’t get any better. 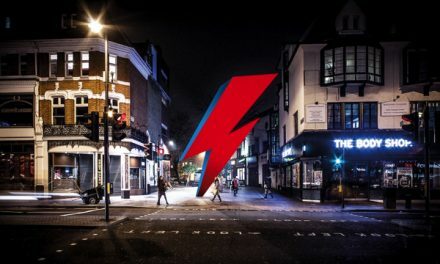 Bowie strutted on stage to Star from Ziggy Stardust and the place erupted. It all went by in a flash and I can honestly say it was one of the best days of my life. I saw Bowie many times since but like your first kiss or first car, there was something special about that first time. 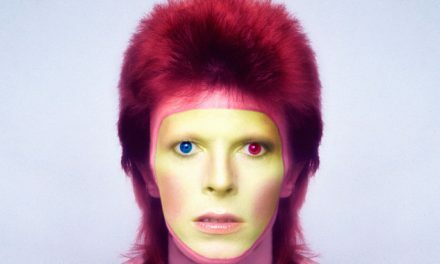 I was 12 when I first saw Bowie performing the Jean Genie on Top Of The Pops and I was spellbound, it changed my life. I heard he was playing Green’s Playhouse in Glasgow and my friend’s big sister offered to take me but my mum wouldn’t let me go. I had to wait a further five years. June 1978. I left home in Galston, Ayrshire, straight after work, took the bus to Kilmarnock and then train into Glasgow. I couldn’t believe I was finally going to see my hero. Hundreds of us queued outside shaking with excitement and anticipation dressed up to the nines. When the lights went down and the very first notes of Warszawa played and David walked on stage, I stood in the stalls, arms outstretched and tears rolling down my cheeks.